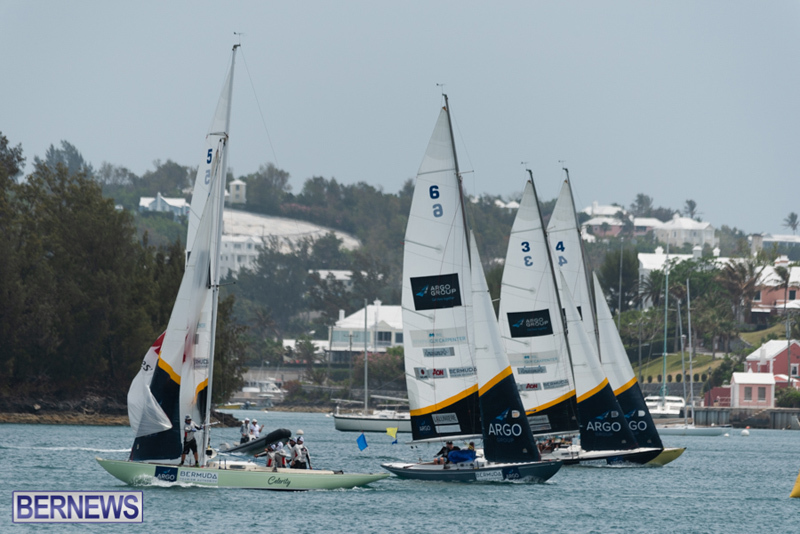 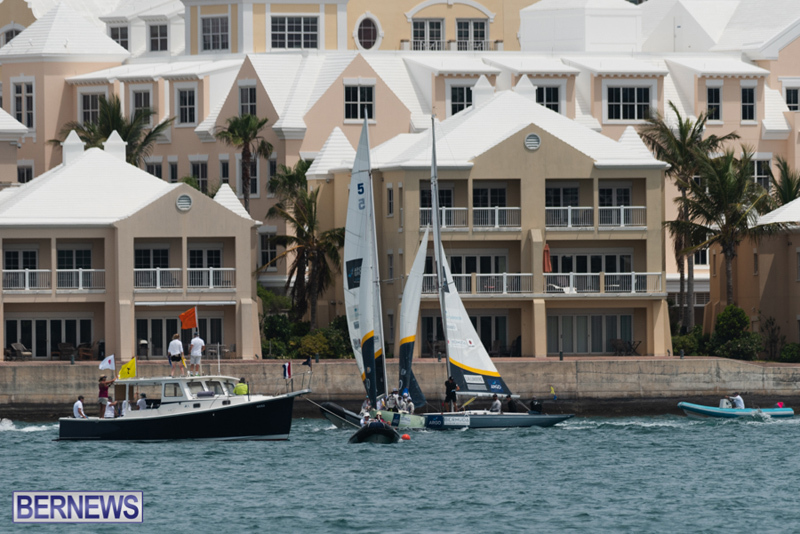 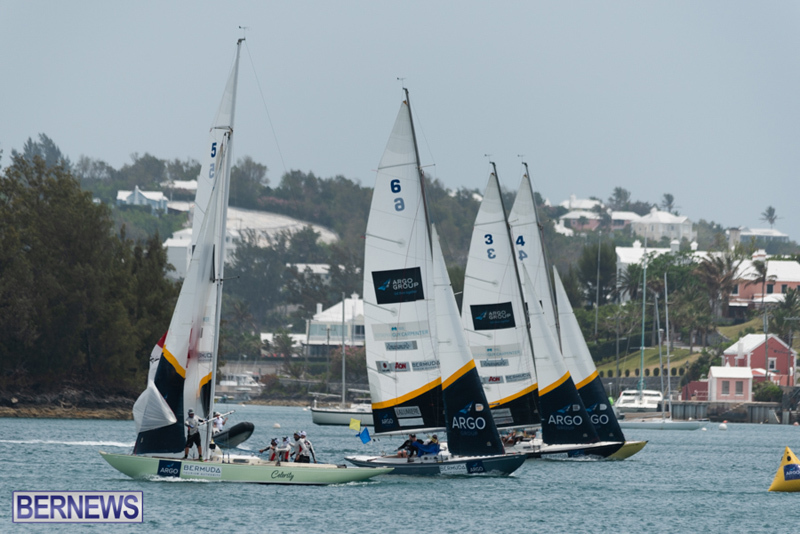 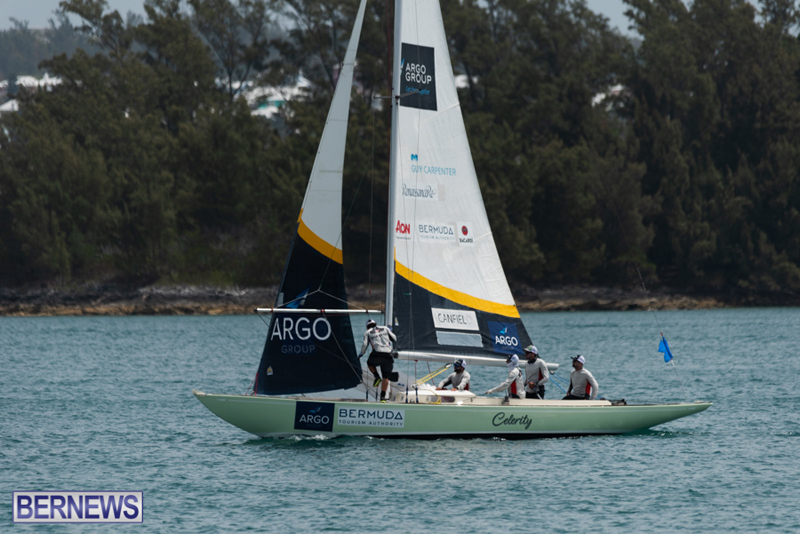 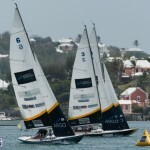 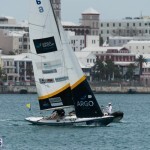 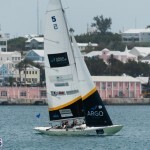 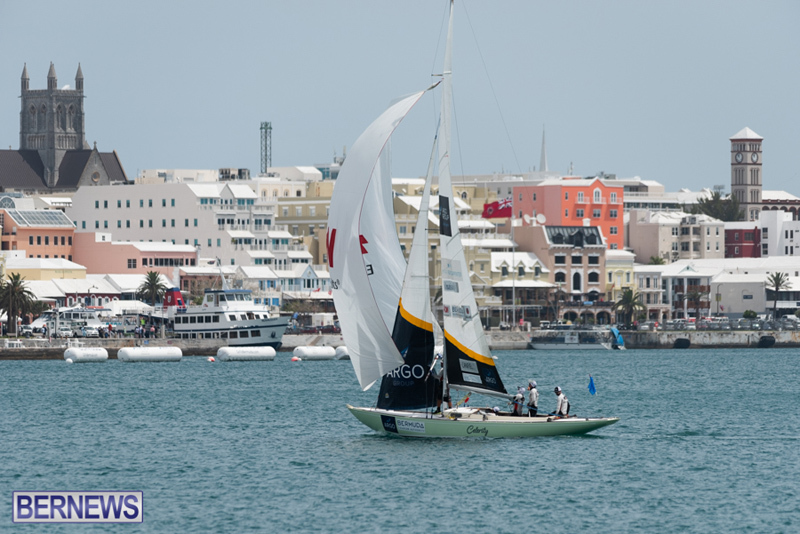 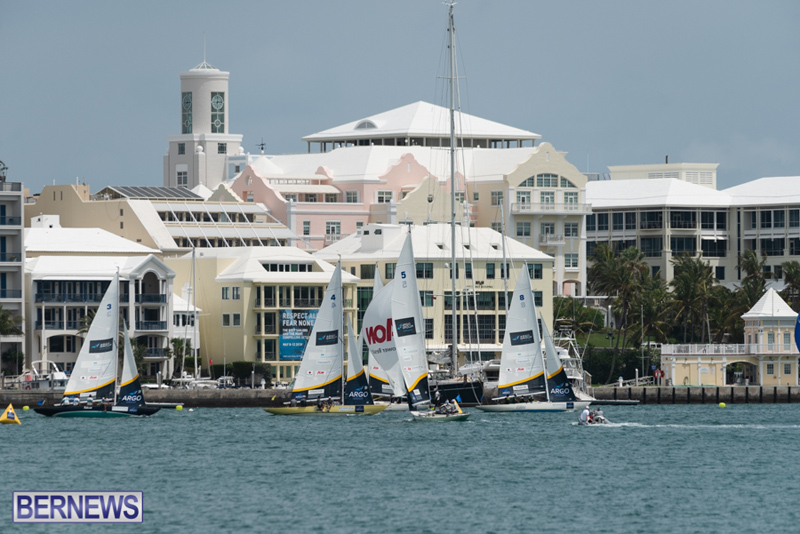 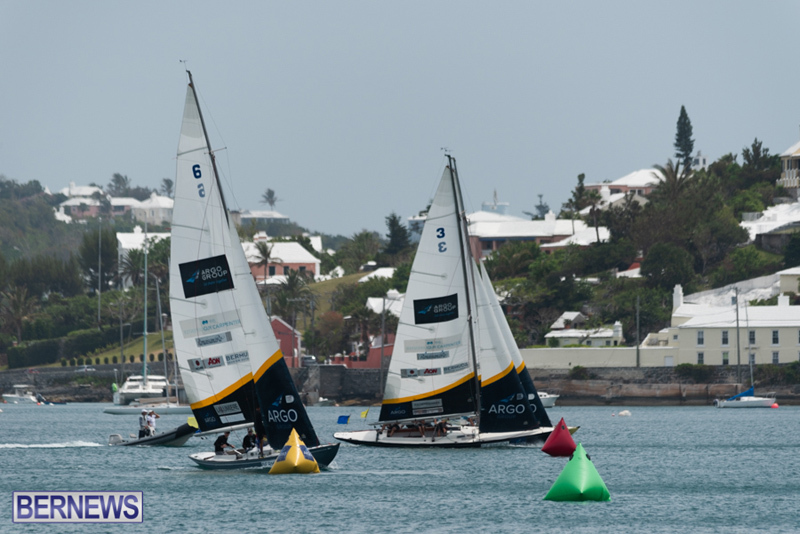 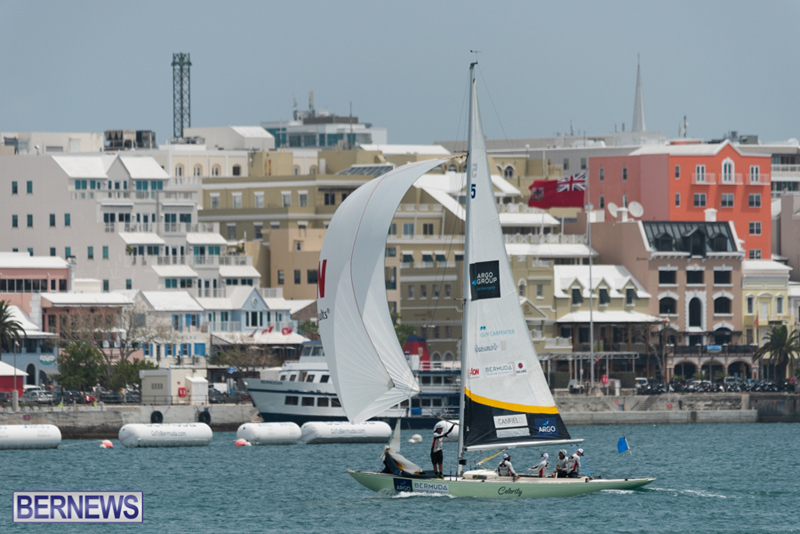 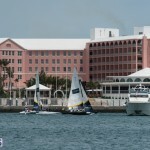 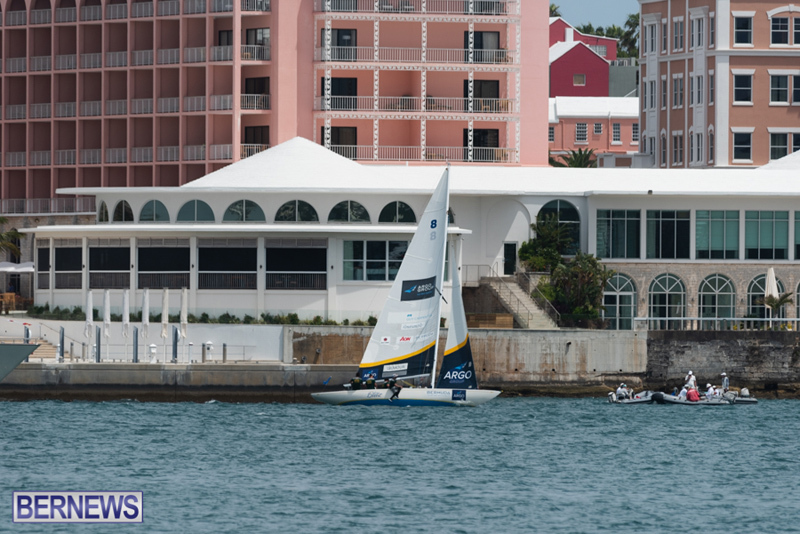 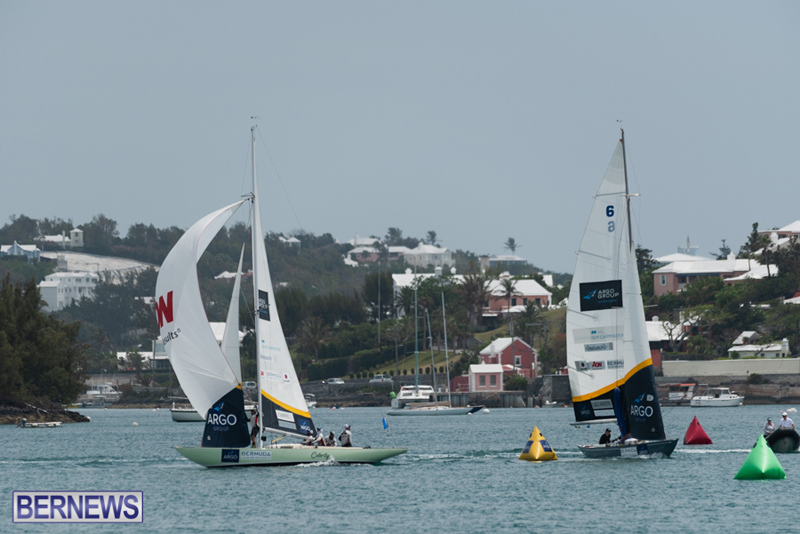 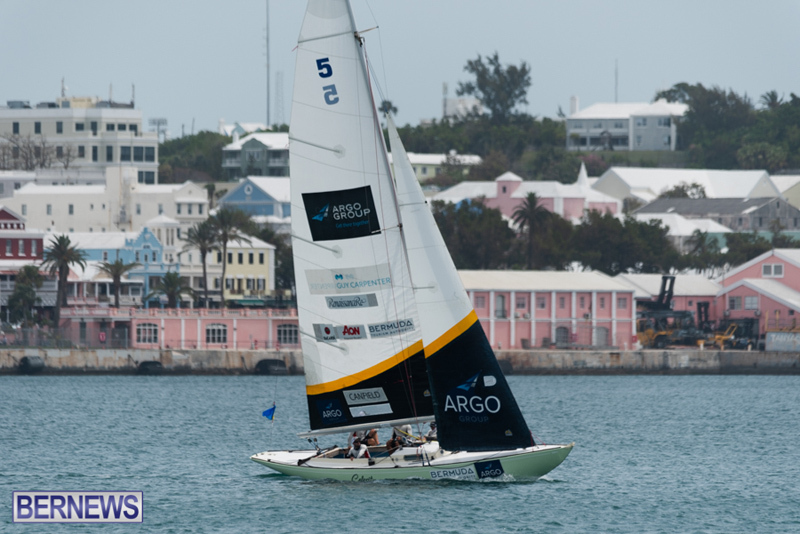 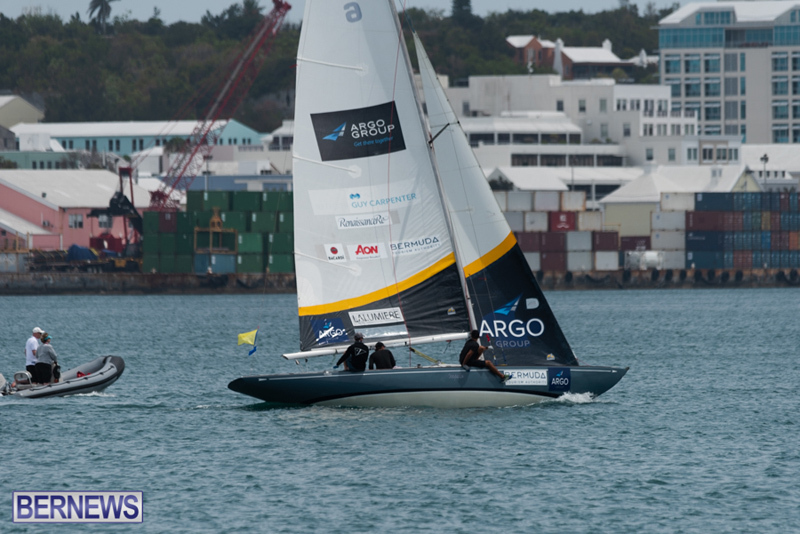 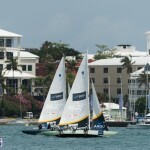 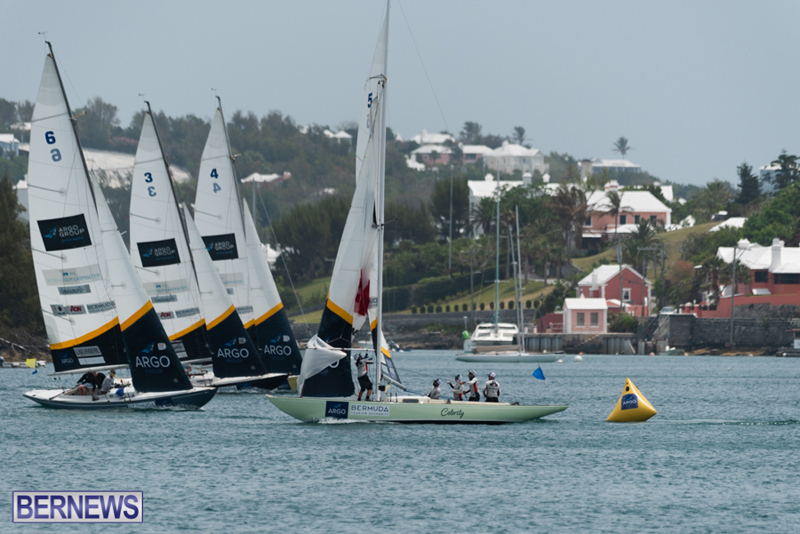 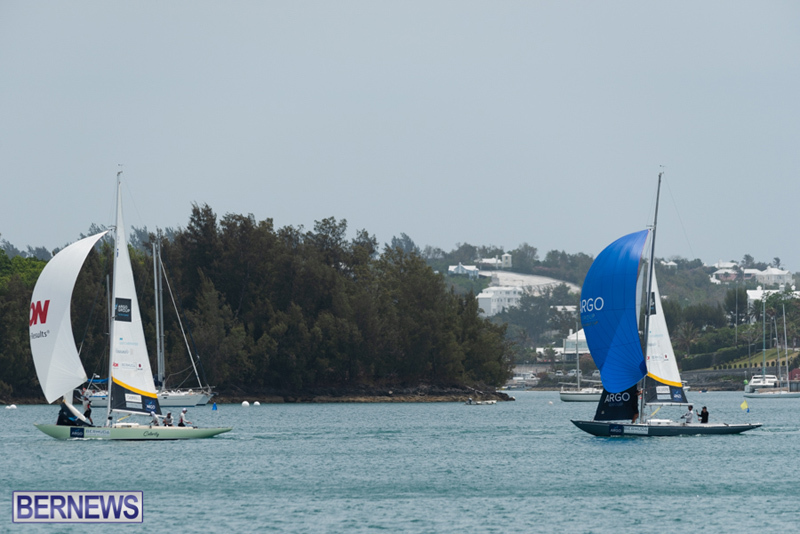 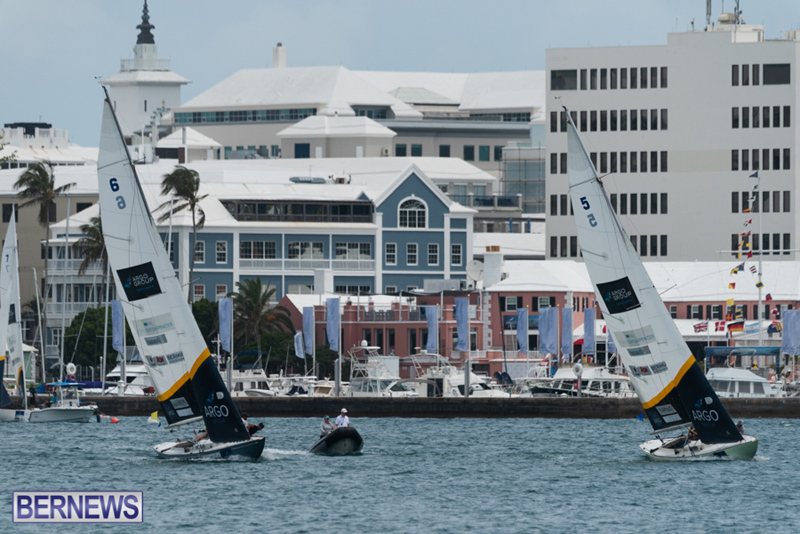 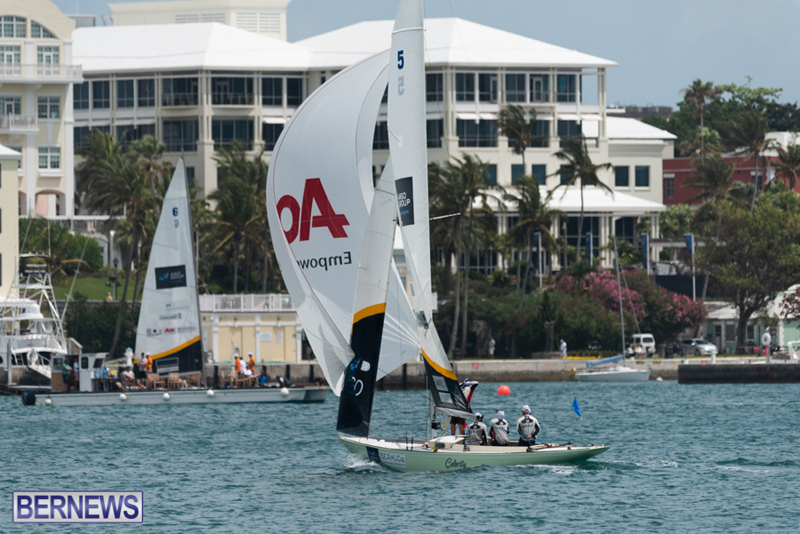 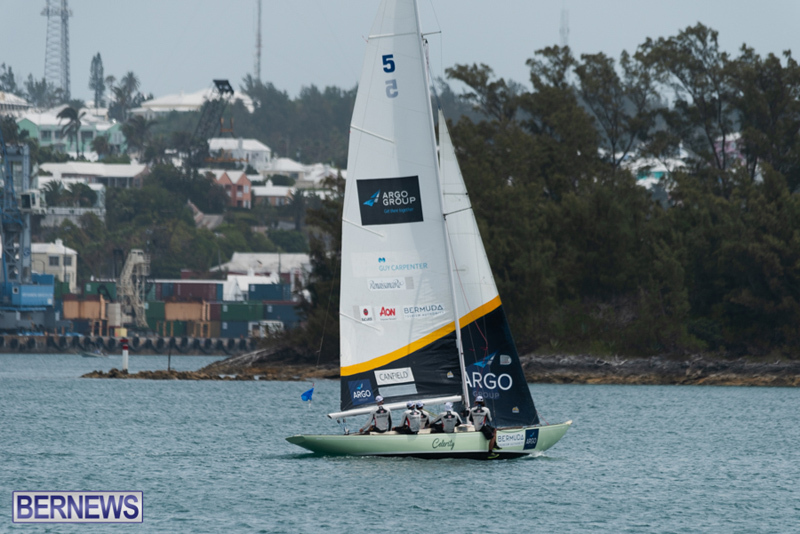 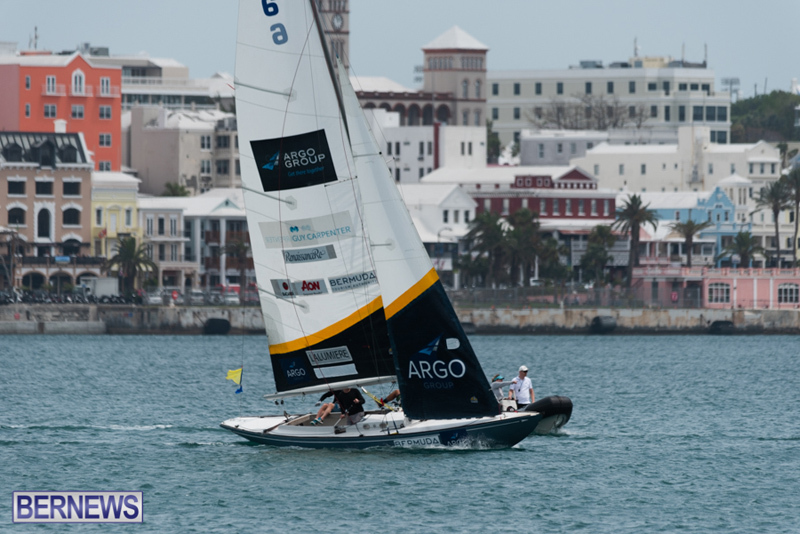 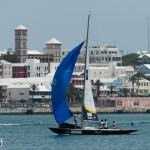 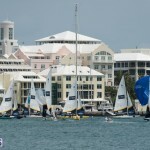 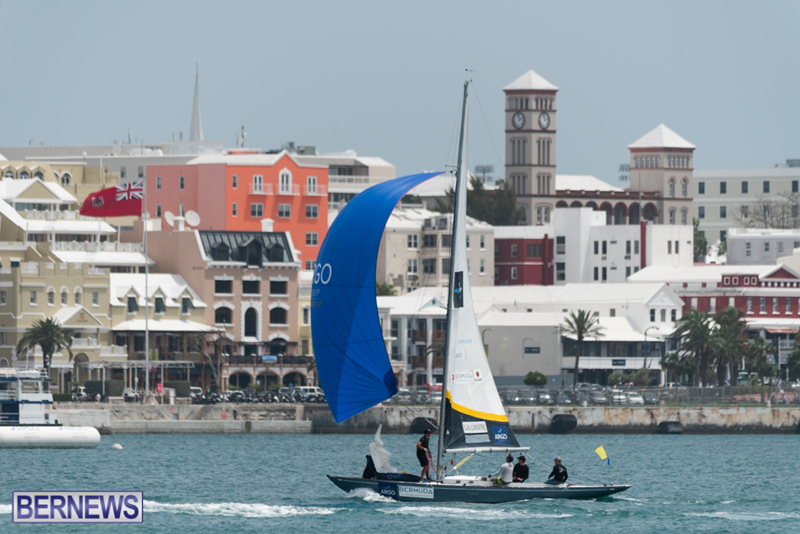 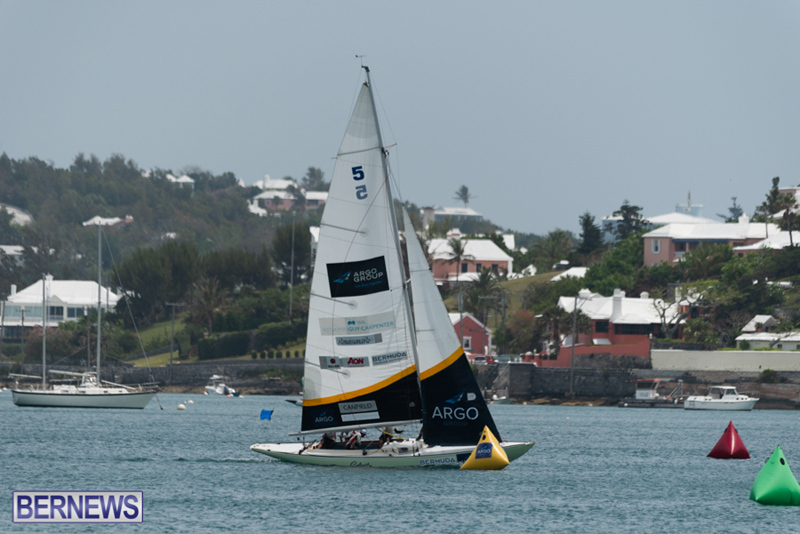 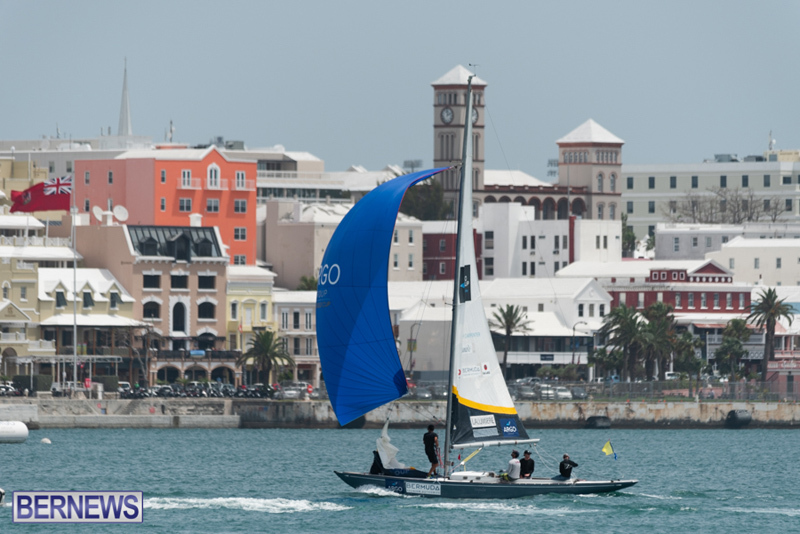 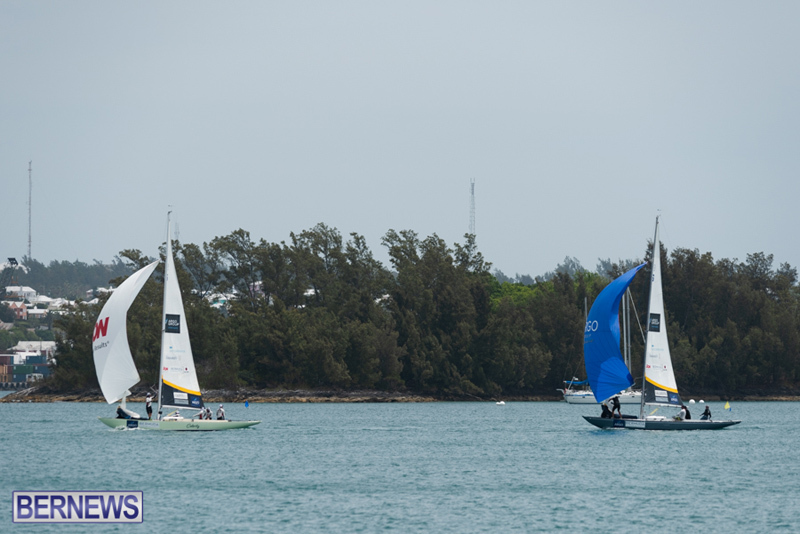 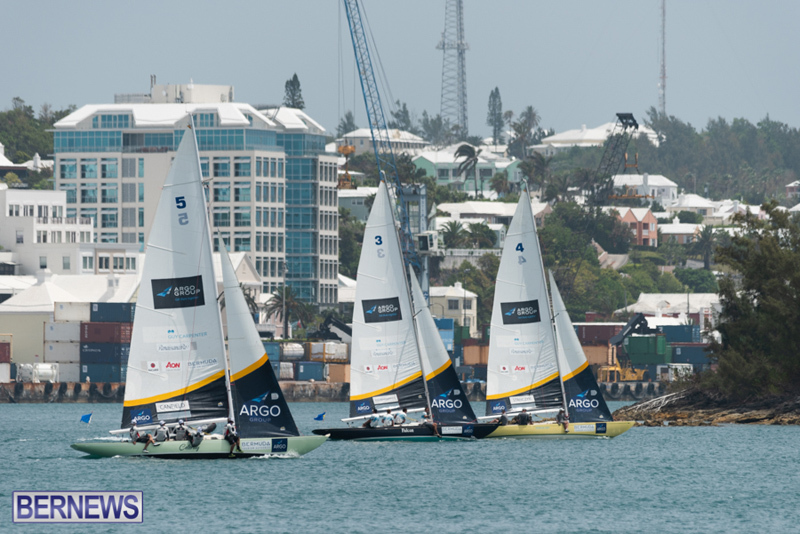 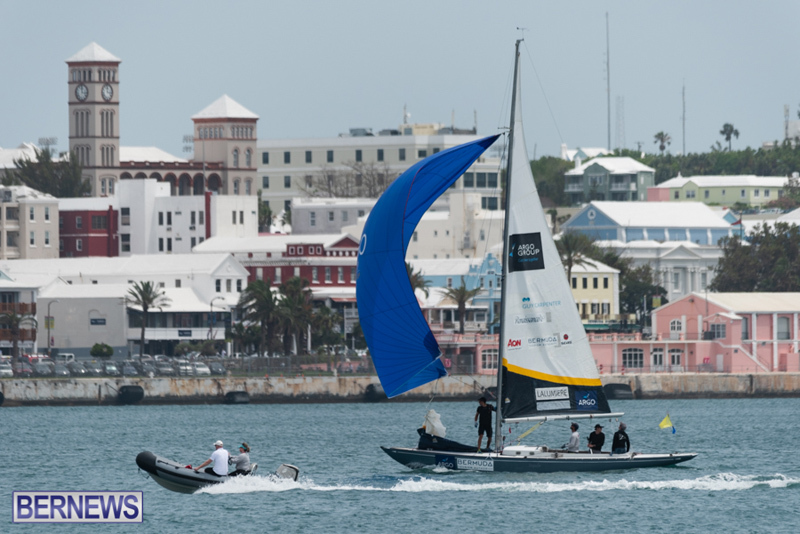 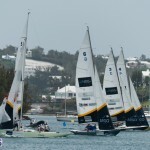 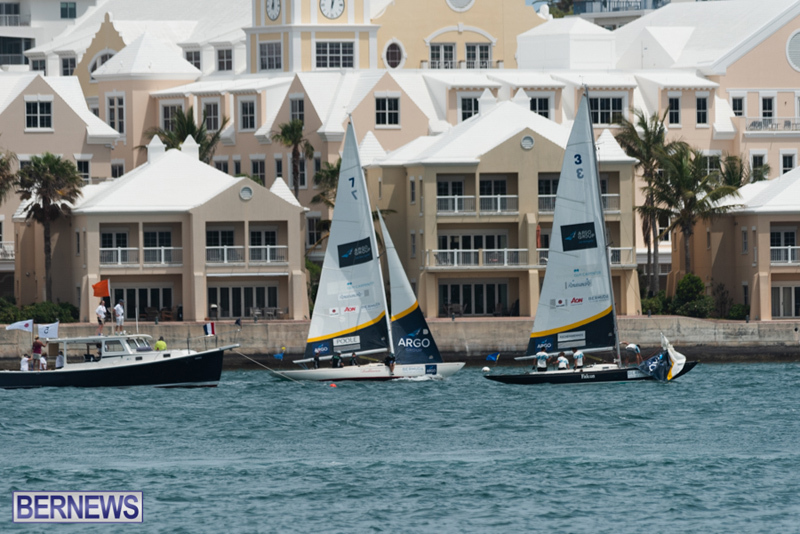 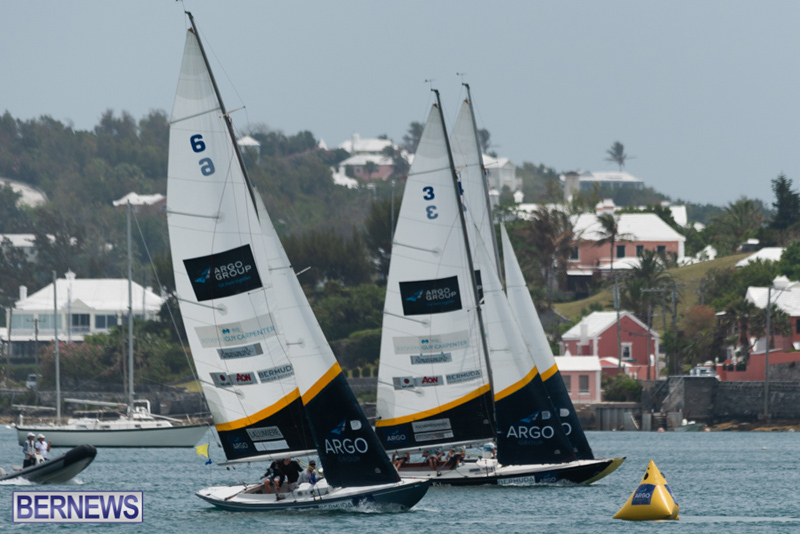 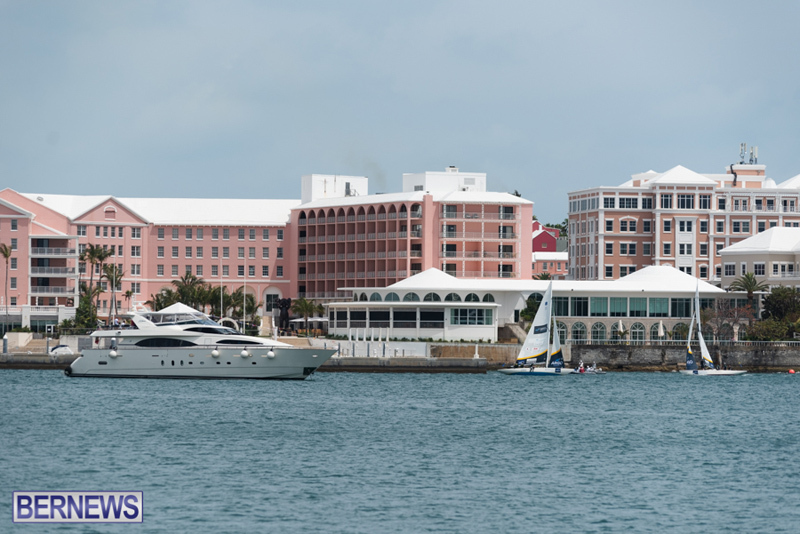 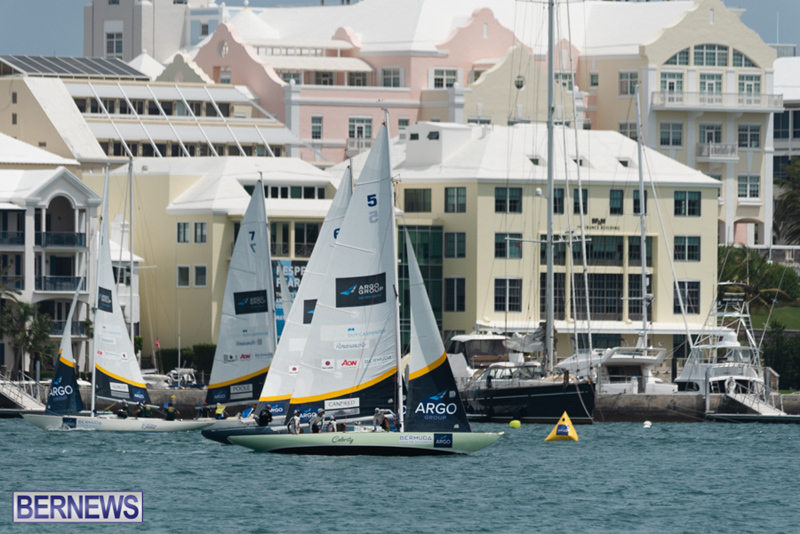 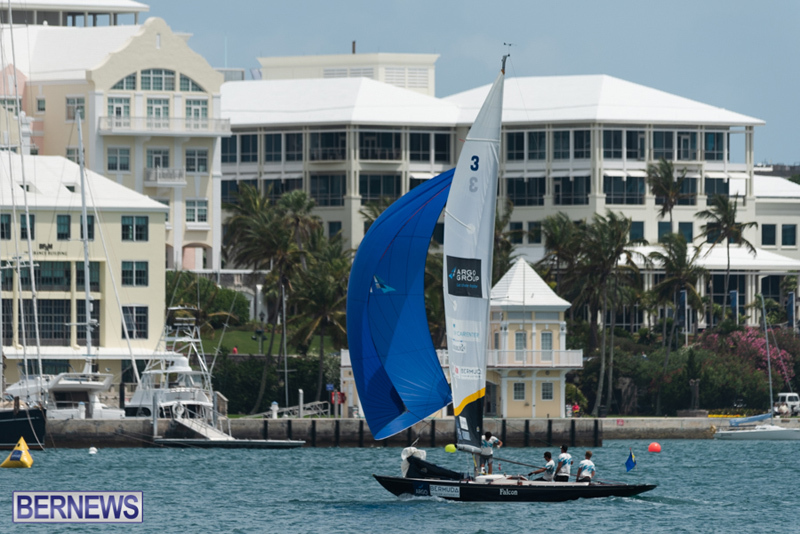 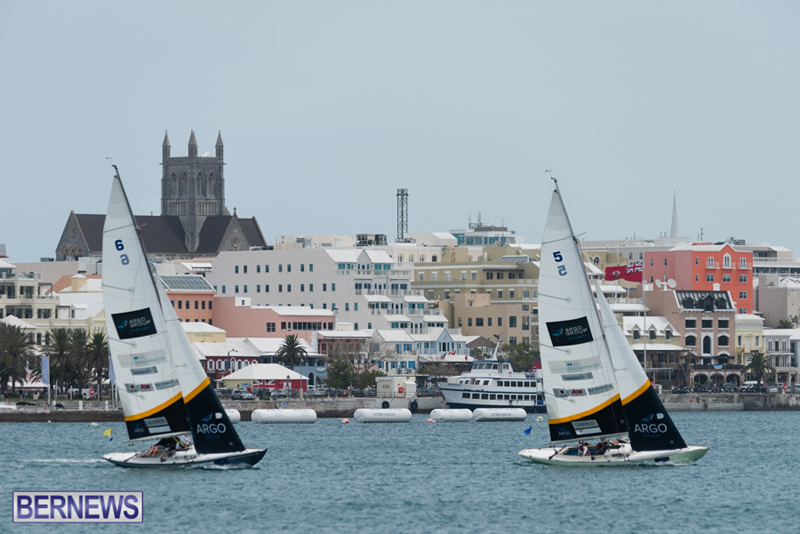 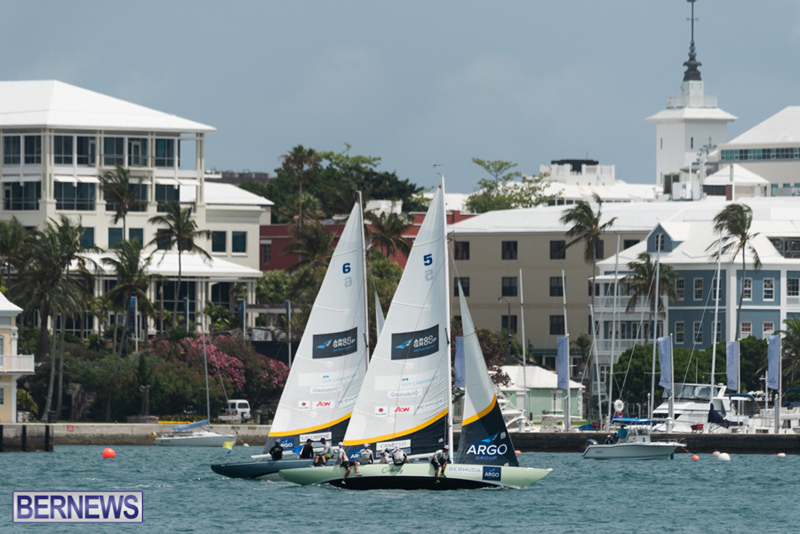 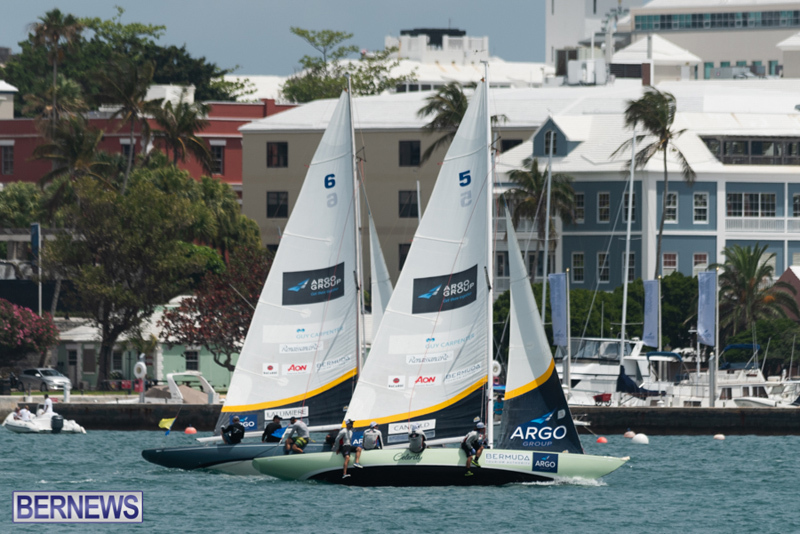 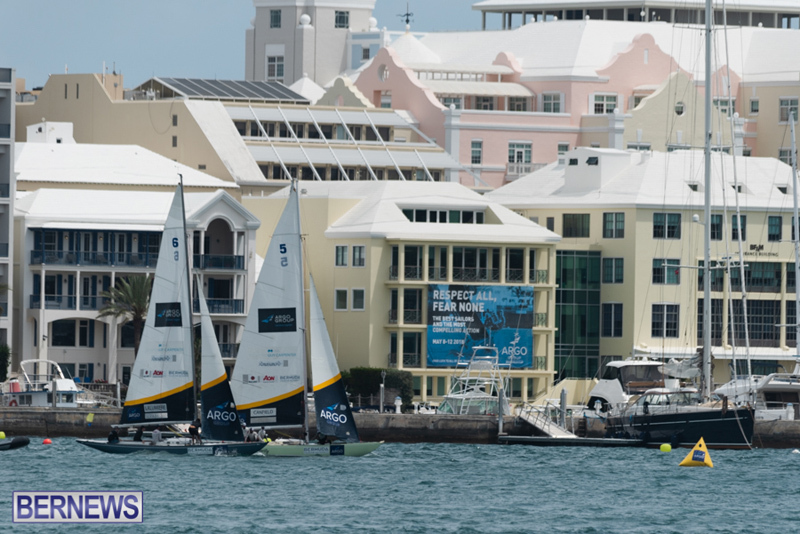 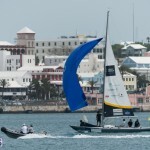 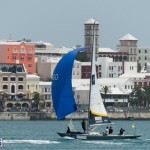 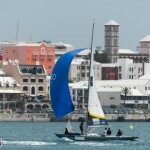 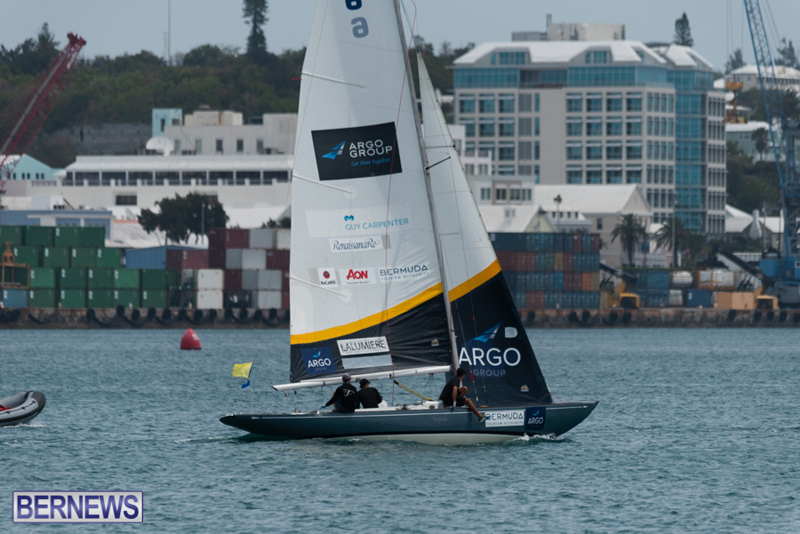 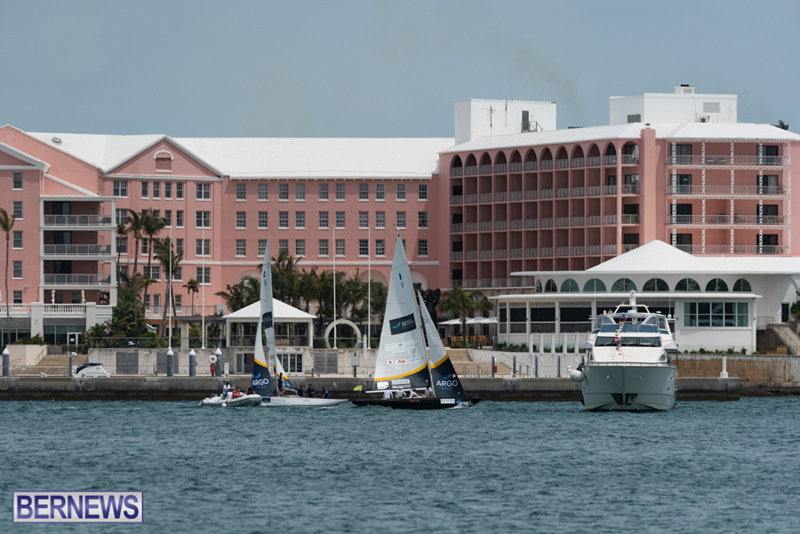 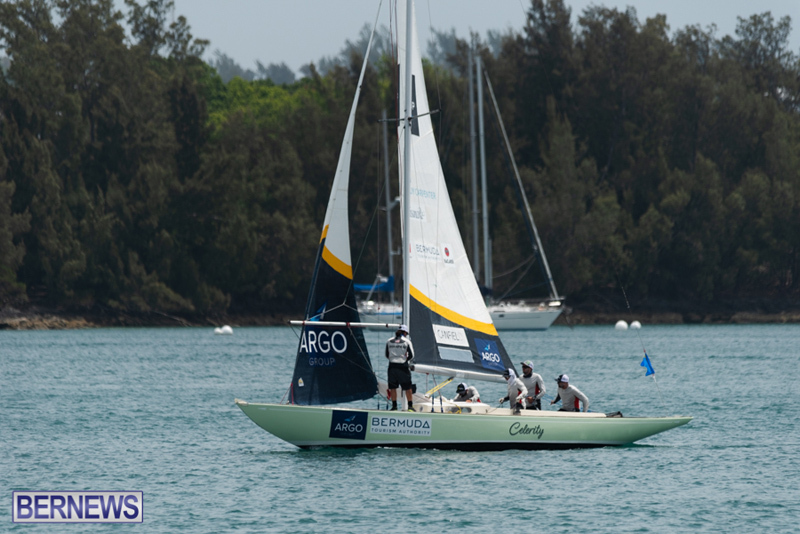 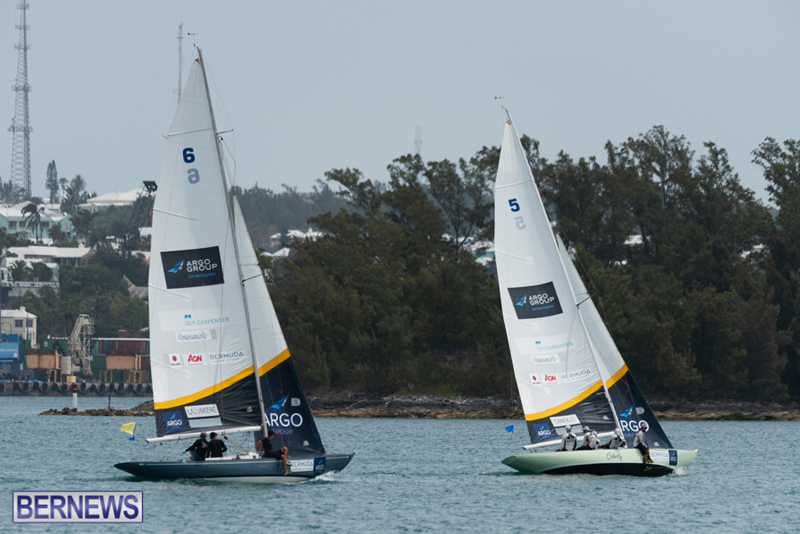 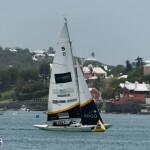 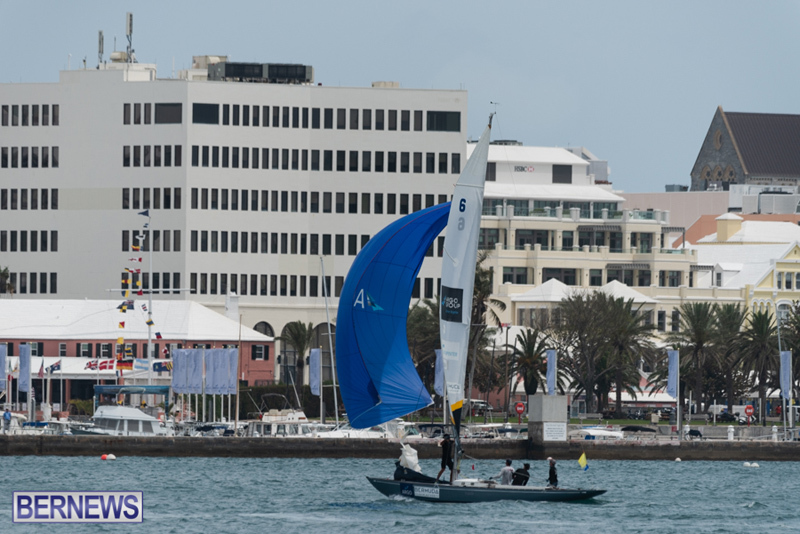 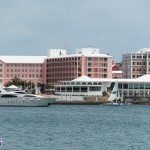 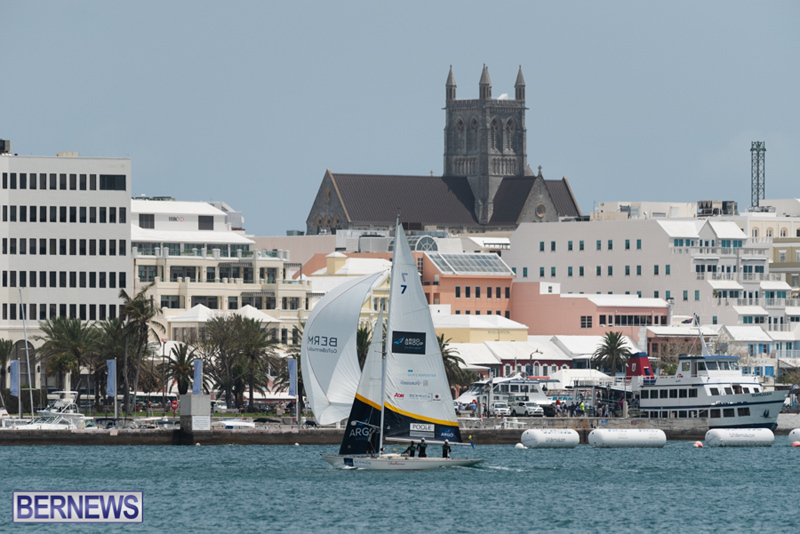 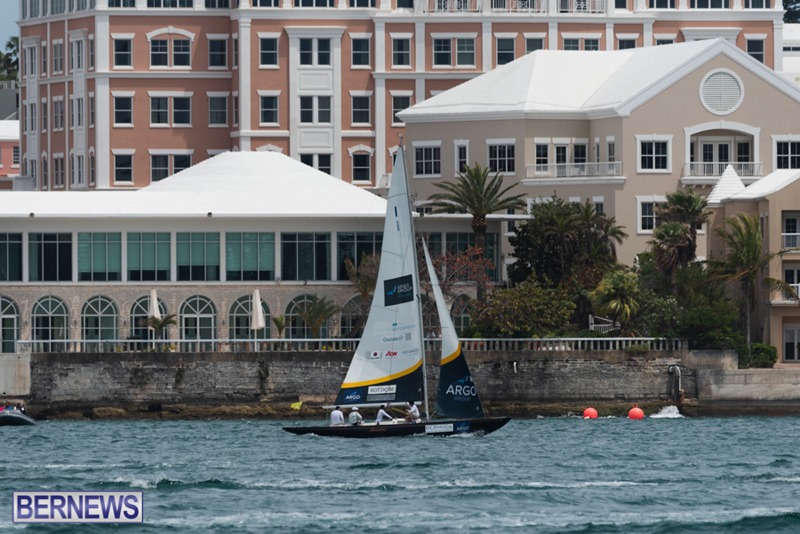 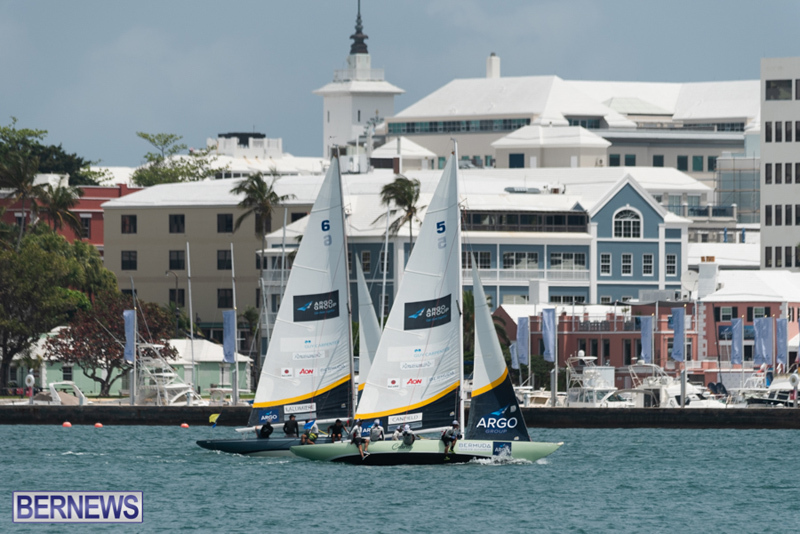 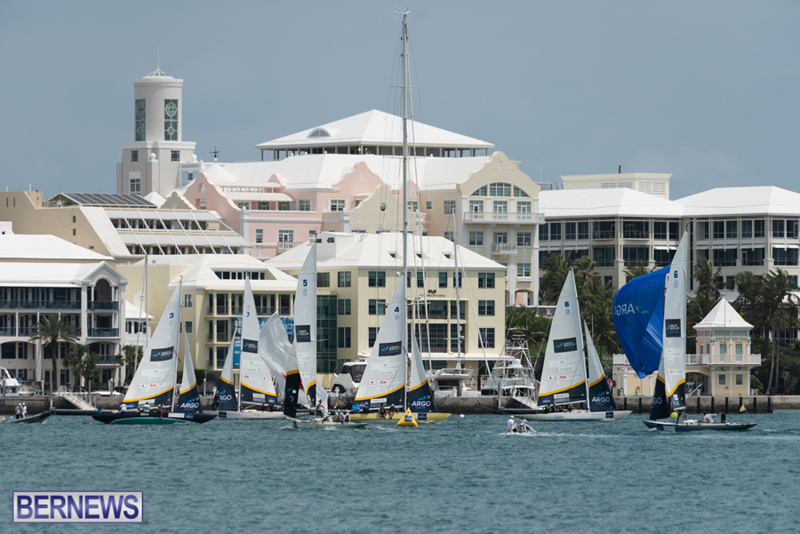 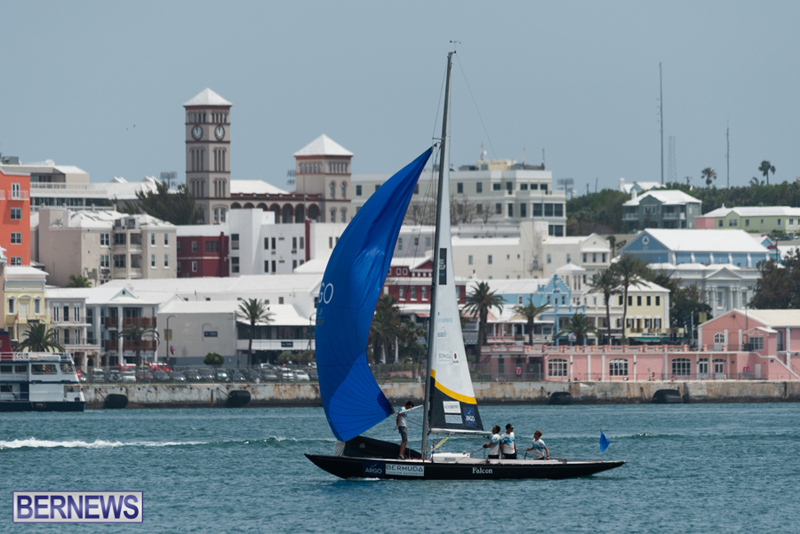 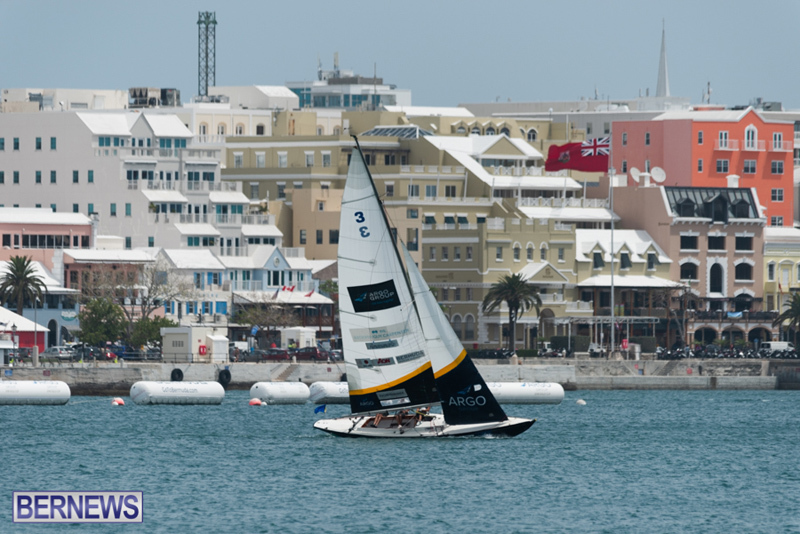 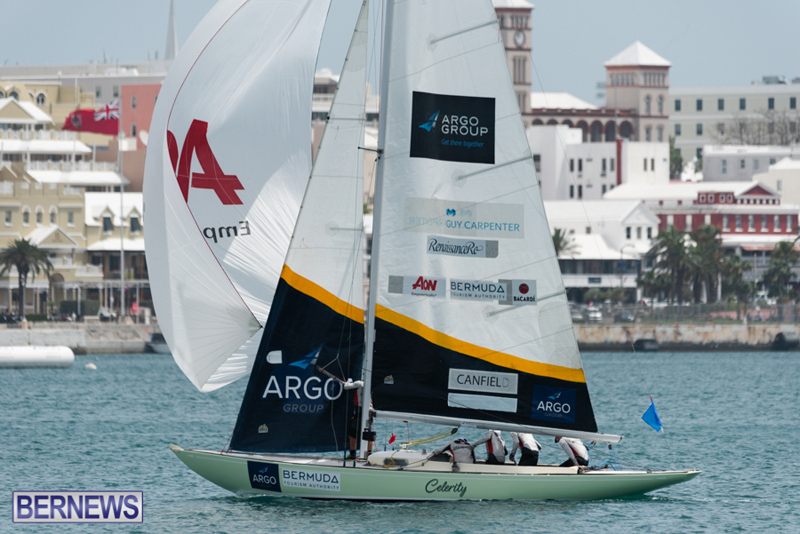 The Argo Group Gold Cup got underway on Tuesday [May 8] with so much action that many skippers’ memories were left blurred, Taylor Canfield’s USone Sailing Team streaked out to the early lead. 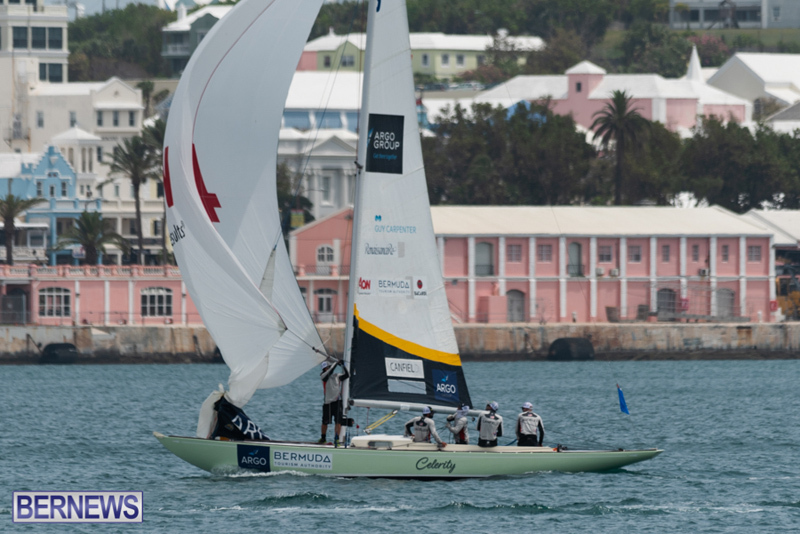 Canfield and crew Mike Buckley, Victor Diaz de Leon, Erik Shampain and George Peet won all six of their matches and are the only undefeated team remaining at the $100,000 match racing regatta. 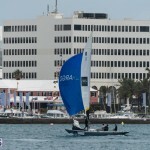 Close behind are Joachim Aschenbrenner’s Team TriFork from Denmark with a 6-2 record. 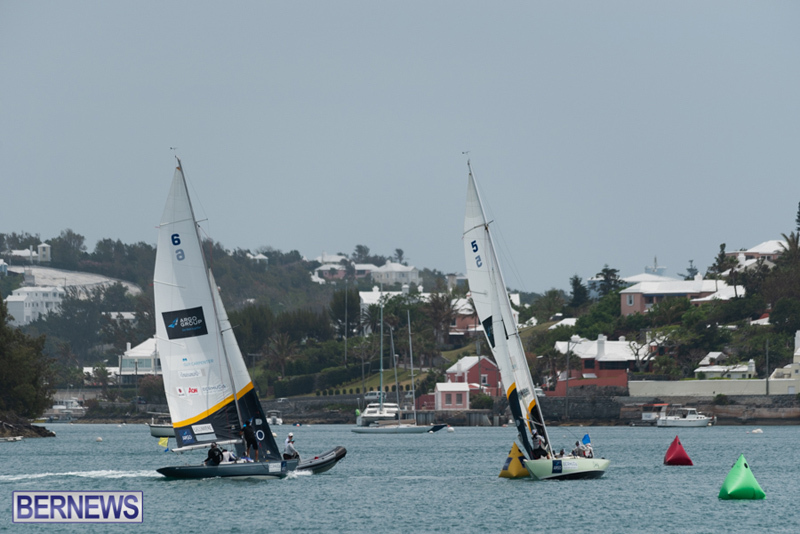 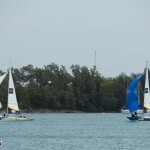 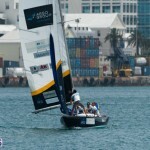 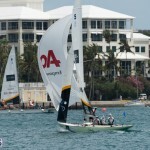 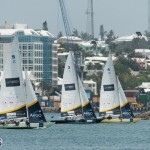 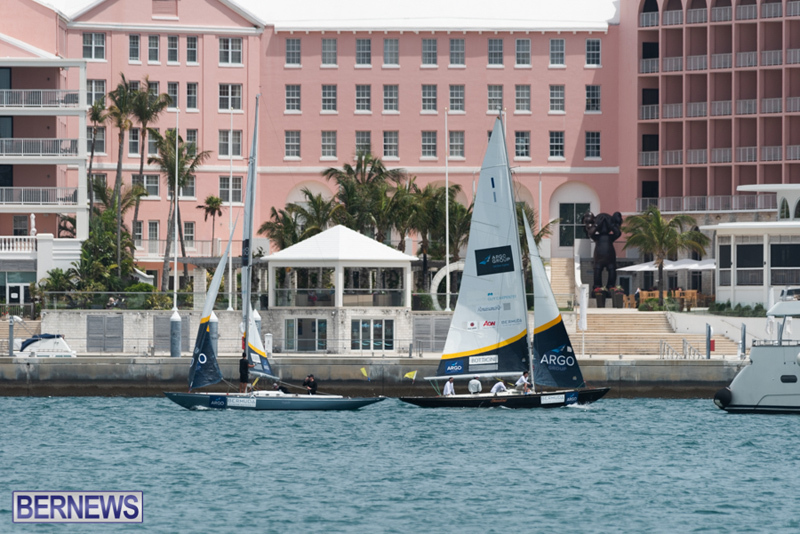 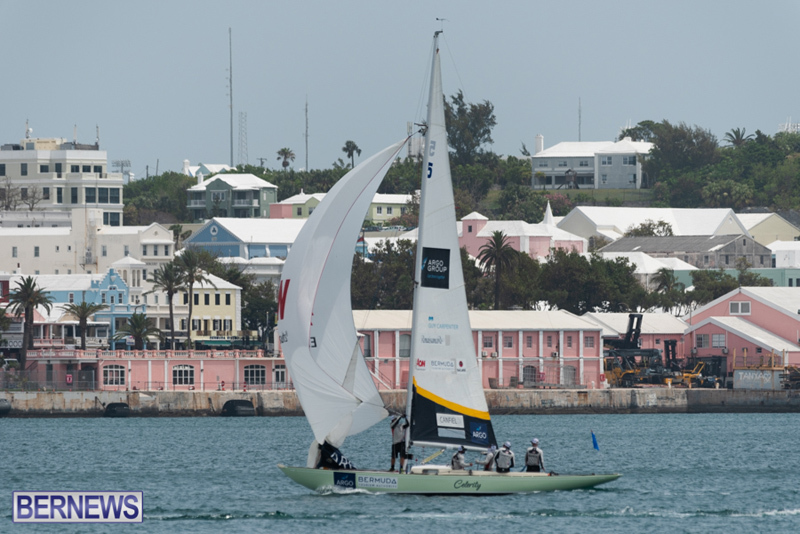 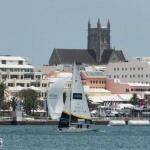 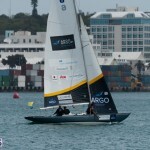 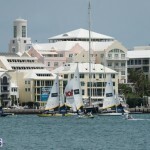 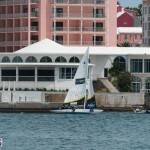 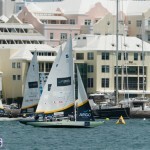 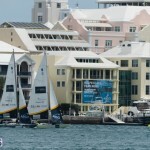 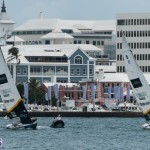 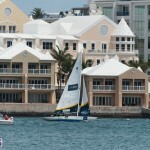 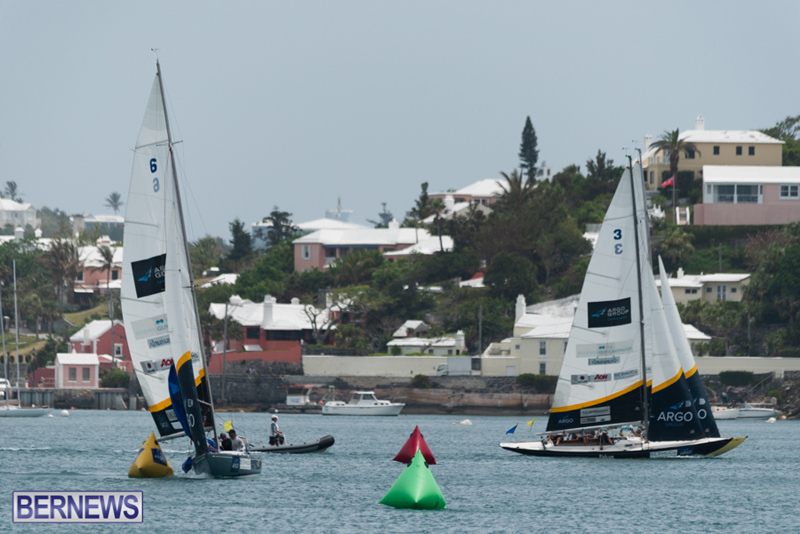 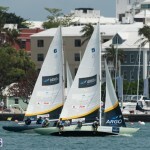 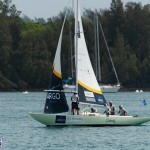 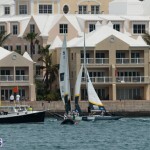 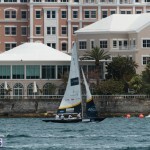 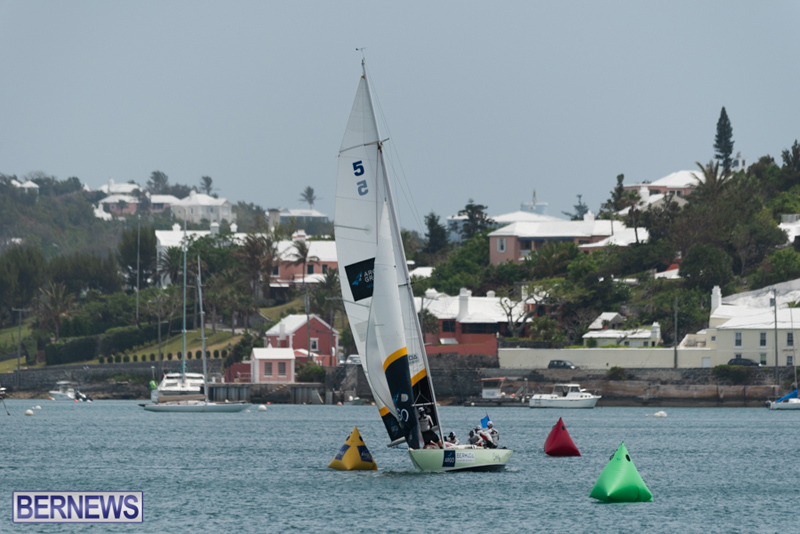 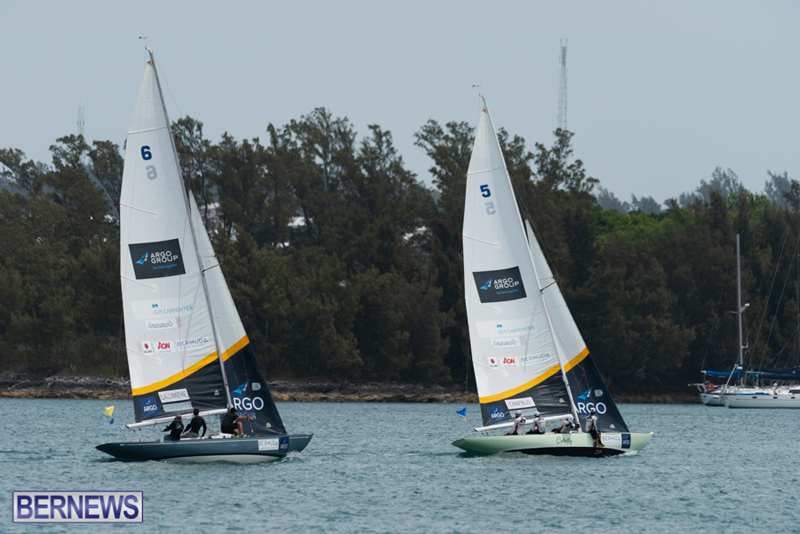 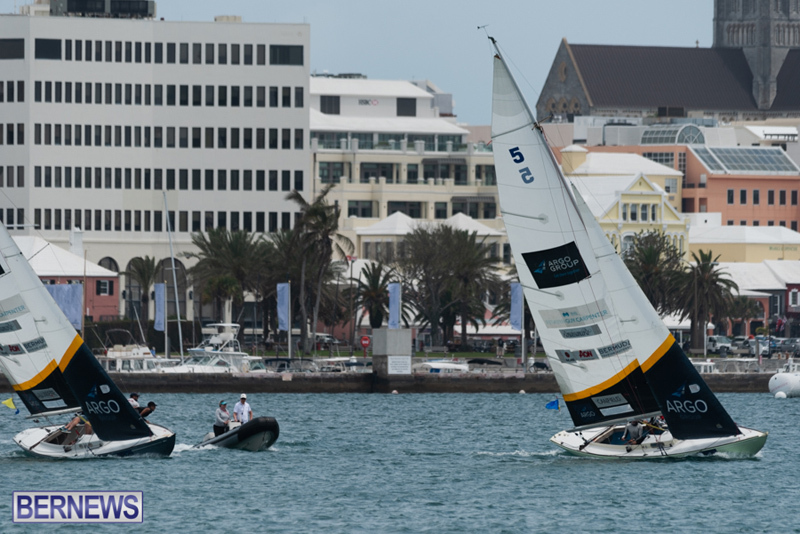 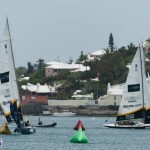 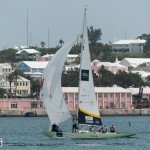 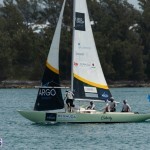 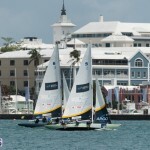 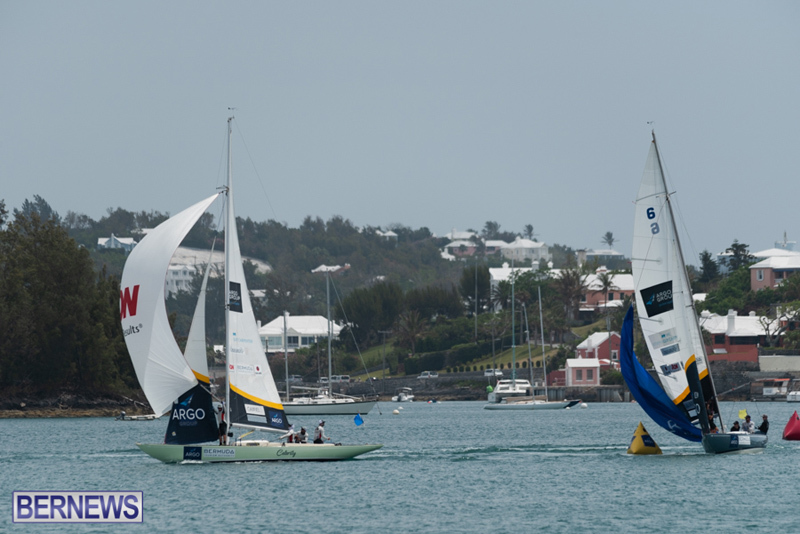 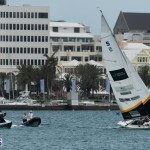 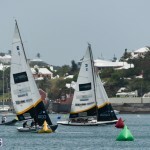 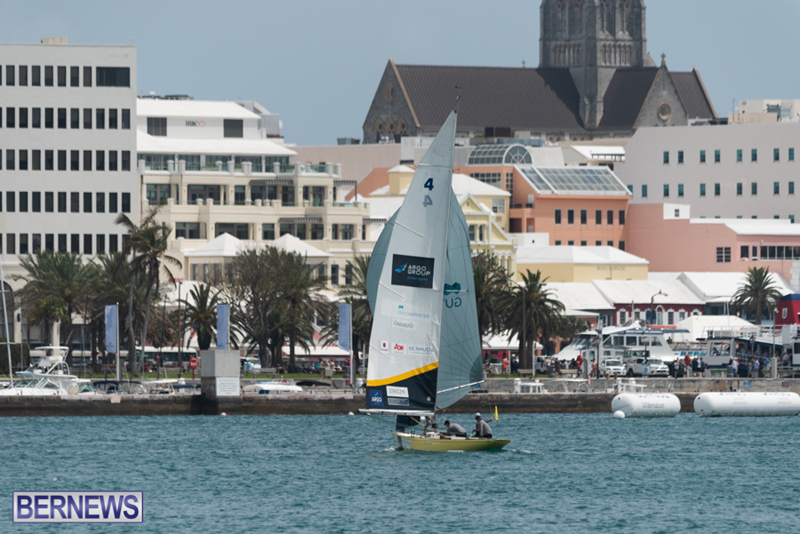 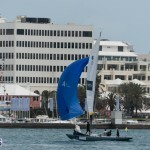 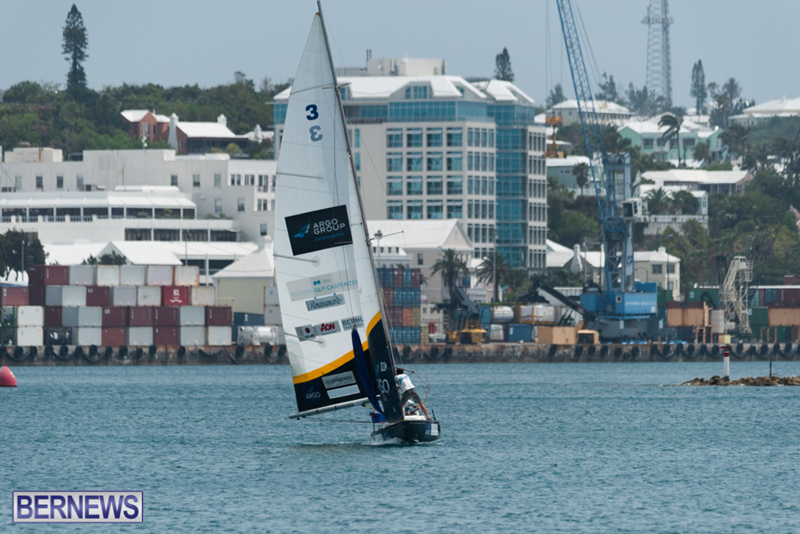 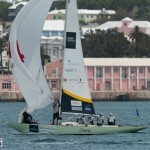 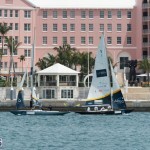 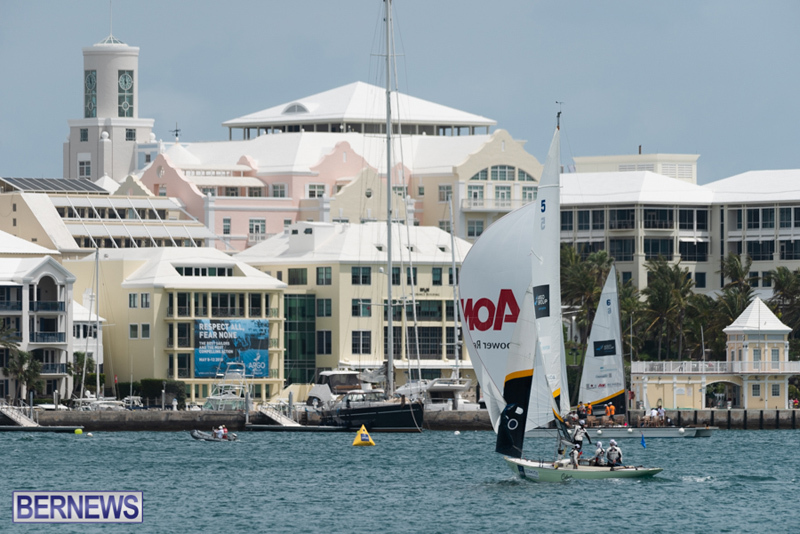 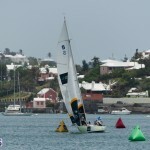 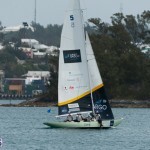 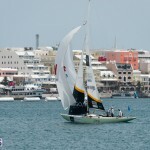 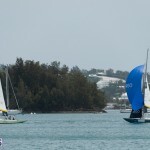 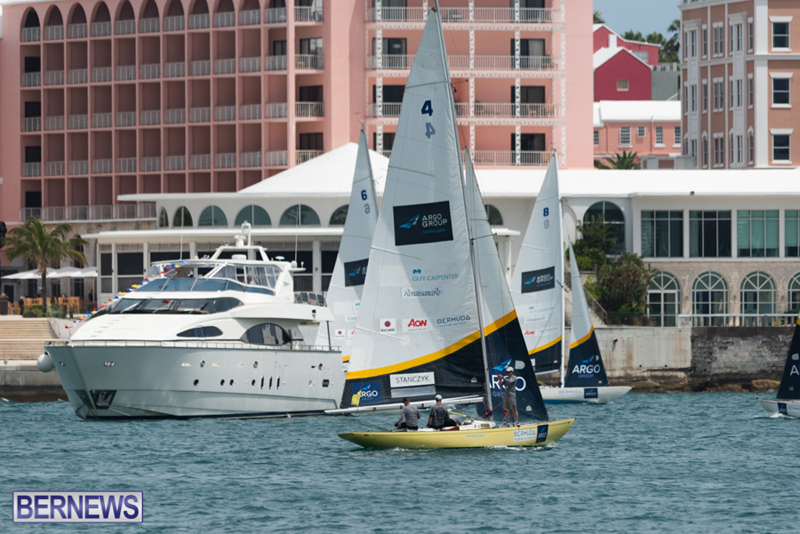 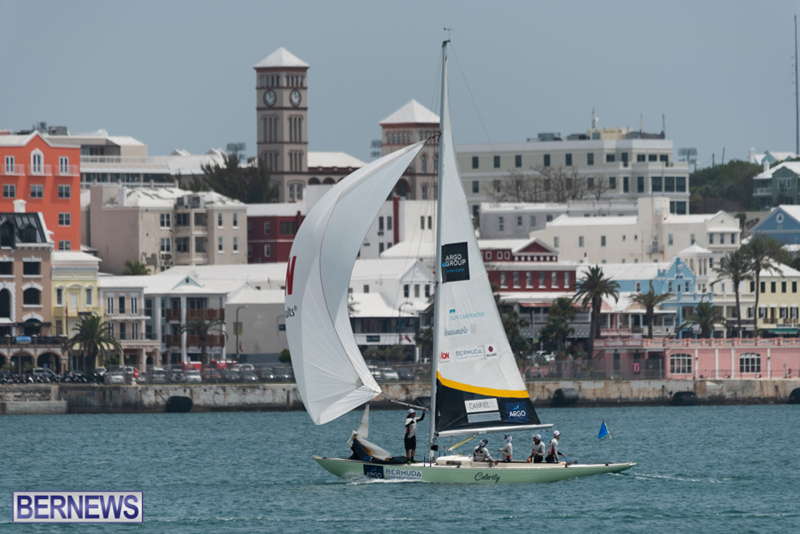 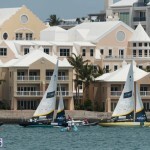 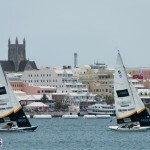 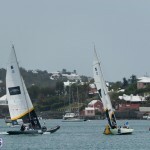 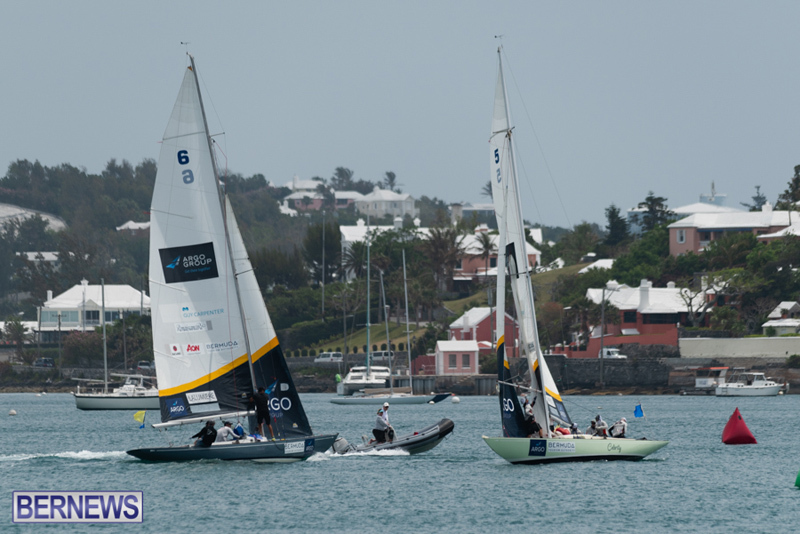 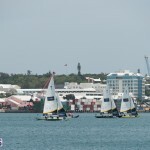 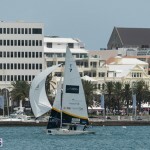 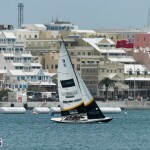 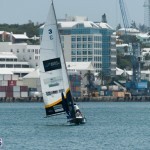 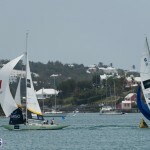 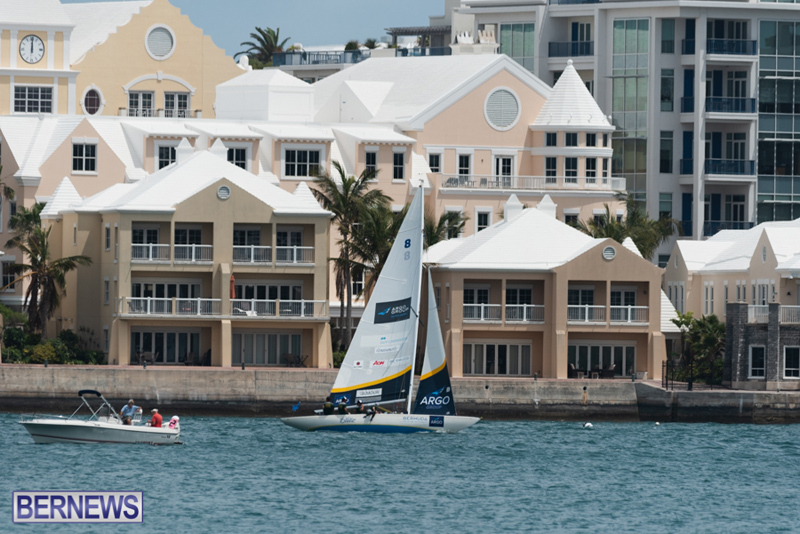 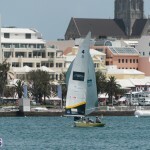 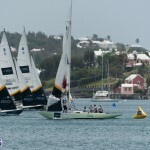 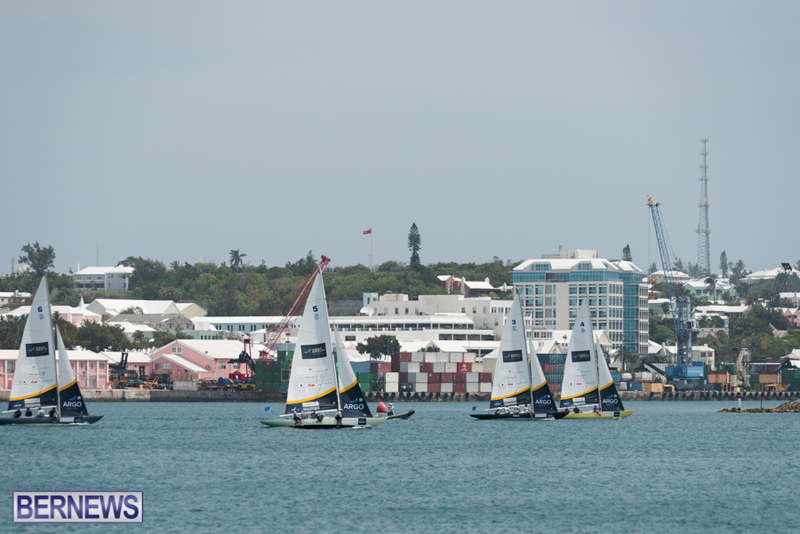 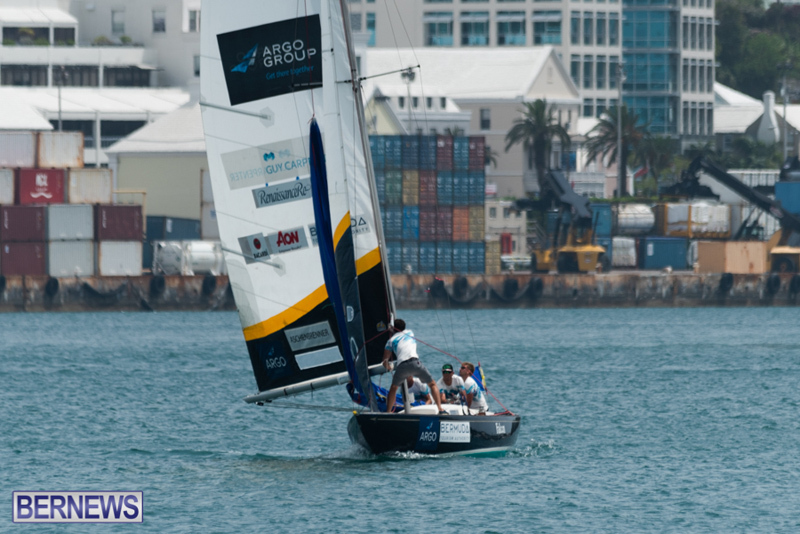 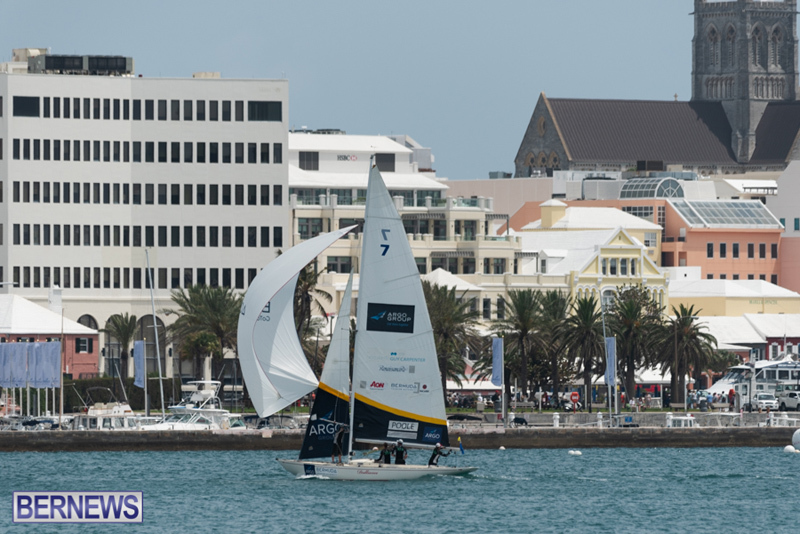 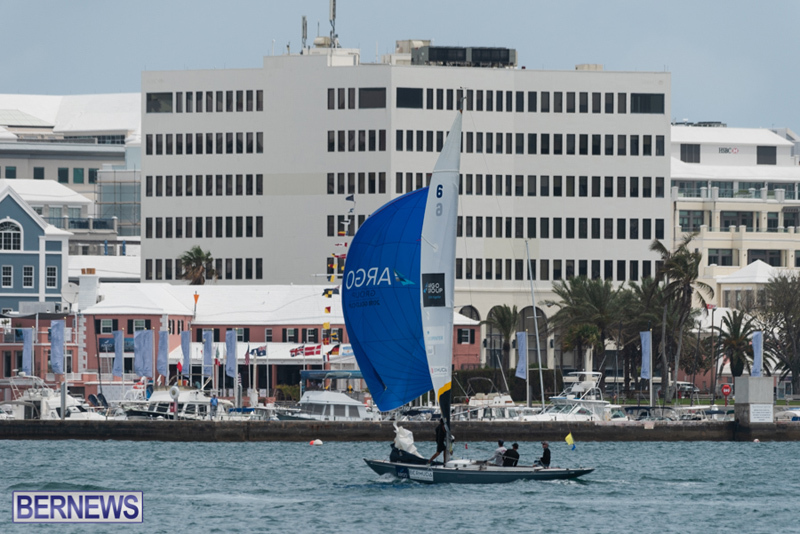 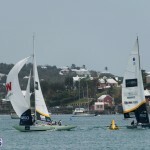 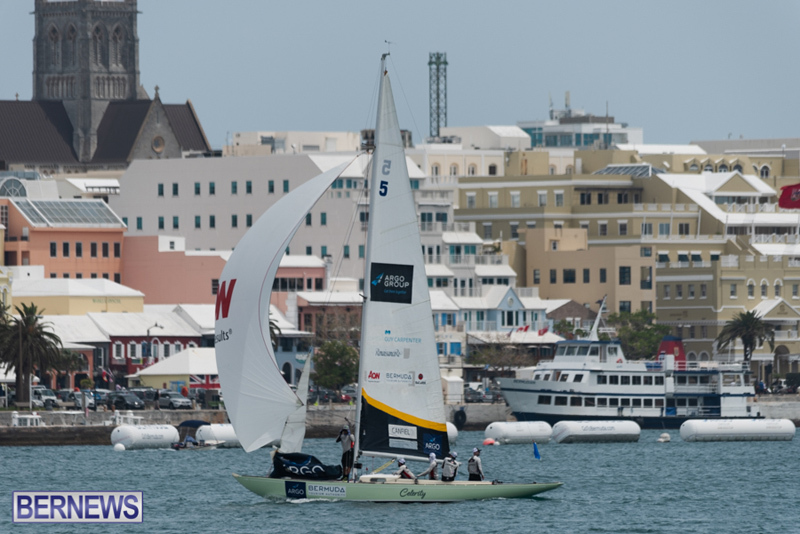 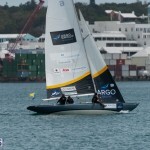 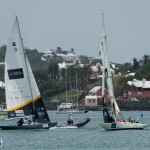 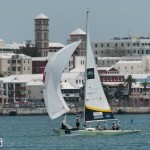 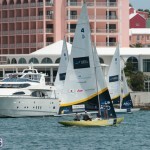 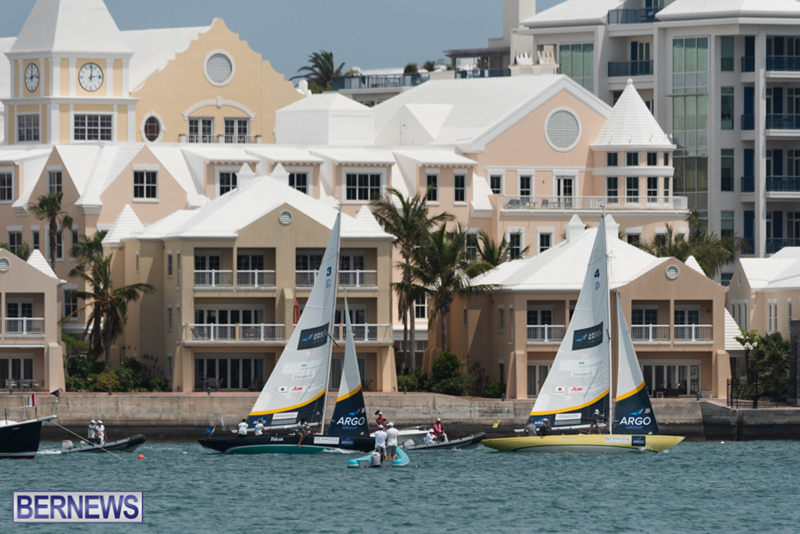 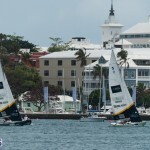 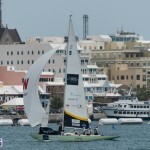 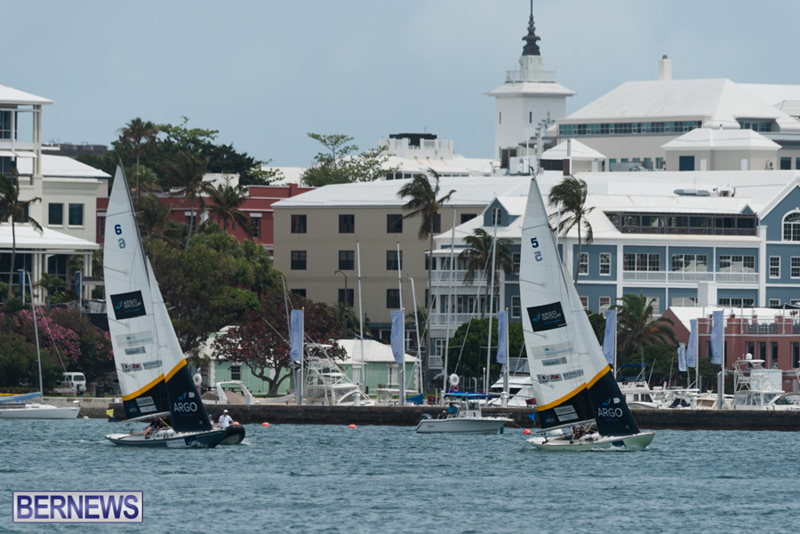 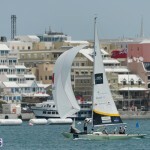 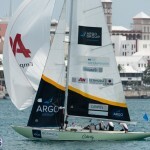 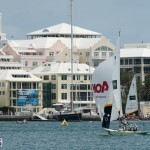 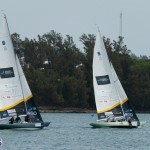 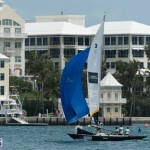 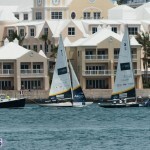 Johnie Berntsson’s crew stands third at 5-1 and Lucy MacGregor’s crew from the U.K. is fourth with a 5-3 record..